DENVER'S BEST HOME INSPECTION. Serving Denver, Parker, Aurora, Highlands Ranch, Centennial, Castle Rock and Surrounding Area. 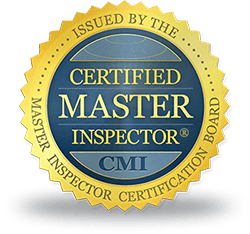 is committed to perform a Home Inspection that is thorough, accurate and easy to understand using language and terms in the Inspection Report we are all familiar with and use everyday. 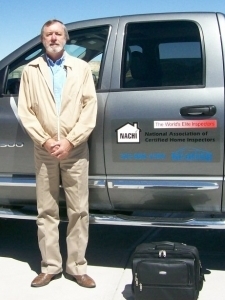 Simply put, the Best Home Inspection Report available in the Denver Colorado Area! A Parker Colorado Home Inspector specializing in New Home Inspections and 1 Year Builders Warranty Inspections for Parker, Denver, Aurora, Highlands Ranch, Castle Rock, Lone Tree, Centennial, Arvada. I am here to provide the most accurate home inspection report available in the Denver Colorado area so it will assist you in making a confident decision about the property. Whether you're buying an older home or a brand new property and want to be sure of what you're getting... or perhaps selling a property and want to eliminate possible problems that could delay or even worse, lose the sale. Is the Builders Warranty Period on your home almost over? Call Us for a very thorough 1 Year Warranty Inspection because some things may have been overlooked when you had your pre-close walk through or conditions may have changed since you have occupied the home. Purchasing a Brand New Home? Perhaps you just want a professional to inspect and advise you on the condition and maintenance of your present home. This could prevent costly repairs caused by an existing deficiency you are not aware of right now. I can also provide health and safety recommendations for your home so give me a call so we can disuss your specific needs or concerns. Call or Text Dave Now! I AM THERE TO HELP. YOUR FULL COLOR REPORT IS UPLOADED TO THE WEB AS A PDF FOR YOUR CONVENIENCE. reflected in your Home Inspection Report .